Filing for a divorce in New York can be a complicated process, especially for Indian couples. Not only do state laws apply when it comes to filing and obtaining a divorce, but the couple’s religious beliefs also play a significant role in proceedings. Though several religions are practiced in India, the predominant faith is Hinduism, and according to the tenets of Hinduism, marriage is a sacred covenant. The traditional Hindu system of marriage does not allow for the state to play a role in the union, which can lead to obstacles for Hindu residents in New York who are considering divorce. Though the Indian Parliament enacted the Hindu Marriage Act in 1955 to outline the laws pertaining to marriage and divorce, the rights of both parties in a divorce are often blurred, especially those of the wife. In an Indian marriage, the husband is traditionally favored above the wife, which means that significant issues can ensue when one or both parties is seeking to dissolve the union in the United States. The largest complications arise when the marriage was actually registered in India or when one spouse is Indian and the other is a U.S. citizen. Even if a civil divorce is obtained in New York, the couple may have to obtain validity in India, where it can take years before a case is even reviewed in court. Hindu residents in New York who are considering filing for divorce or who are engaged in family law matters such as child custody or alimony disputes can benefit from the expertise of a divorce lawyer to ensure their rights are protected. And when considering a Hindu divorce, it’s imperative you choose your legal counsel wisely. Not only do you need an attorney who is well versed in all New York family law matters, including property division, child custody, and alimony, but also an attorney who has extensive experience in Hindu doctrines. That’s where we come in. At the Law Offices of Elliot Green, we provide superior legal assistance to the Hindu community when filing for divorce or resolving any family law matter. As an experienced Indian family law attorney in Brooklyn, Staten Island, and Queens, NY, Elliot Green understands that religion can play a key role in both Indian marriage and divorce proceedings. When you work with Mr. Green, not only can you expect your legal rights to be protected, but your faith beliefs as well. We handle your case with the utmost level of respect for your religious practices and will ensure you and your family’s needs are fully taken care of. Under the Marriage Laws (Amendment) Bill of 2010, the Hindu Marriage Act and the Special Marriage Act of 1954 were modified to make it easier for Hindu couples to obtain divorce on the grounds of “irreconcilable differences.” Now, Indian couples can also obtain a divorce by mutual consent. However, just because a no-fault divorce can be filed by an Indian couple, doesn’t mean proceedings will run smoothly. Men still have the upper hand, which means that a wife’s right to property, alimony, and even child custody can be threatened. Working with an experienced attorney can ensure these complications are minimized and resolved as quickly as possible. Our Indian family lawyers in New York understand that issues with any kind of divorce case can arise, but when religion comes into play, it is especially important to have a knowledgeable representative on your side. We pride on helping our clients understand their rights under both Indian and United States Laws so a fair outcome for the case can be attained. While secular divorce proceedings can take months or even years to resolve when there is a dispute between couples, a Hindu divorce can be wrought with an even greater number of complications due to the significant role that religion plays in both marriage and dissolution proceedings. For example, marriages where one person is Hindu and the other is not cannot seek a divorce under the Hindu marriage Act, even if the marriage was conducted in accordance with Hindu rituals. In these cases, couples must seek a civil divorce and can seek guidance with family law attorney. Religion can especially affect the financial outcome of an Indian divorce in New York. Under the Indian legal system, a divorce allows a woman to obtain financial “maintenance” from her spouse, known in the U.S. as alimony. Unfortunately, it’s not as simple as it sounds. Though New York divorce laws allow for either spouse to be entitled to alimony, Indian divorce laws base the amount of spousal support on the husband’s income. The wife is responsible for providing evidence of her husband’s earnings in court, which can lead to several issues. For one, the husband may be working “under the table” and his earnings may not be reported. Additionally, a wife may not be allowed access to her husband’s financial records, which results in a much lower alimony payment. An Indian divorce also presents several other complications for women. For example, women are not entitled to marital property. Property will be distributed back to the original owner, which in most cases, is the husband. leaving many unhappy wives to remain in their marriage due to financial reasons. Even in cases where the wife is being abused, since the legal system favors the man, many women suffer through a violent home life because the alternative is not much better. 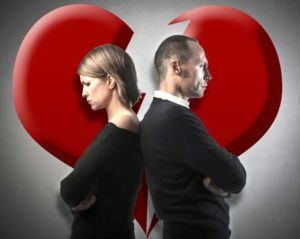 Even divorce proceedings that come about from a mutual, uncontested decision to part ways can suddenly take a turn for the worse. Couples often argue on how to divide assets and who gets custody of the children, but when you add religion to the mix, disputes can become even more volatile. If you have considered filing for an Indian divorce or are struggling with Hindu-based family law matters, turn to our attorneys for assistance today. The Law Offices of Elliot Green in Brooklyn, Staten Island, and Queens, NY is here to serve and protect your rights. Elliot Green takes pride in working with Hindu faith clients to build a strong and fair case for divorce. Mr. Green values your needs and religious beliefs and will devise a plan of action that fully upholds your faith’s doctrines. Schedule a free consultation with our Hindu divorce attorneys today to discuss your options and rights.